This style board is simply beautiful. 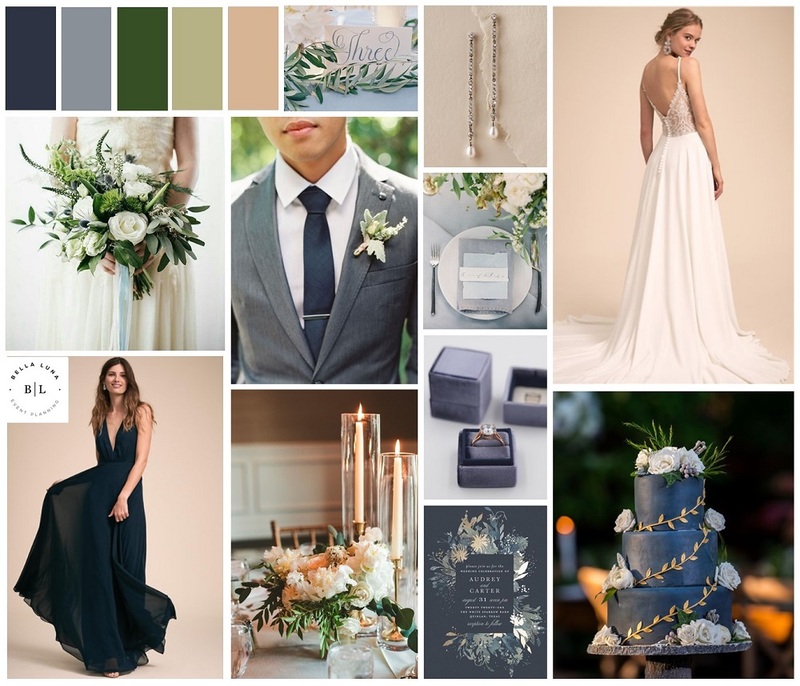 We love this shade of navy with the greenery and candlelight colors. It all ties together for one magical night!